Today was the last sunny day of the month. 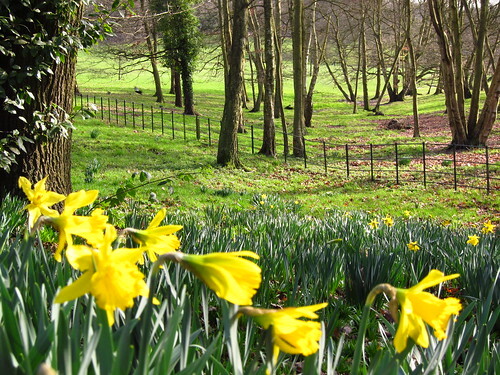 I went on a walk around Hampstead Heath, and came across these lovely spring scenes in Golders Hill Park and Kenwood. 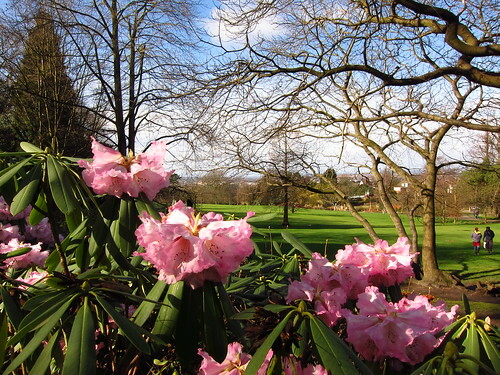 Rhododendrons and daffodils are on the rise now; many more will be in bloom in the upcoming weeks, adding bright splashes of colour to London's parks and gardens.